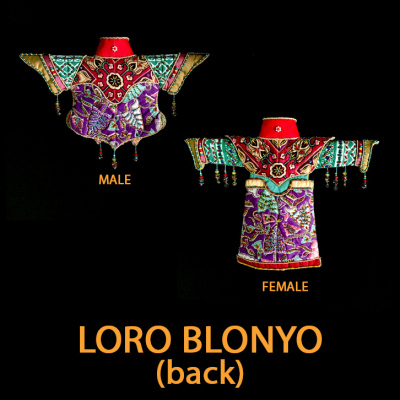 At the moment we have 56 different items. 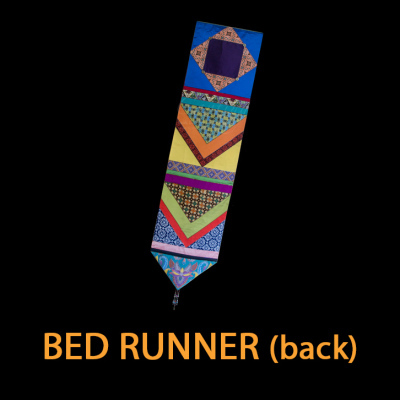 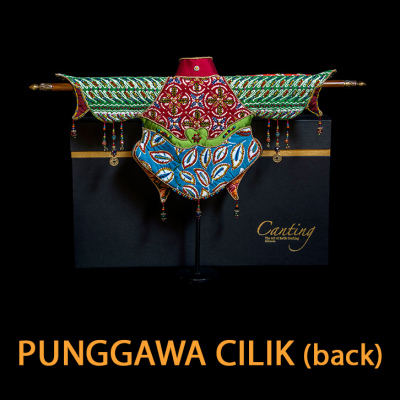 Each item can be made in Classic White and Blue, Pekalongan (colourful) or Solo (brownish). 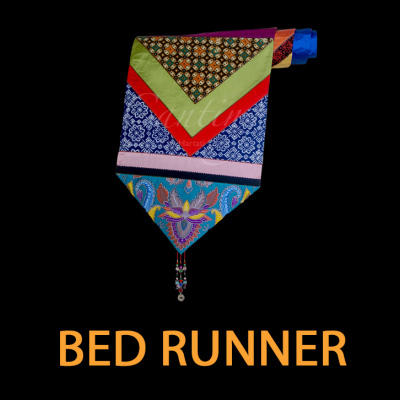 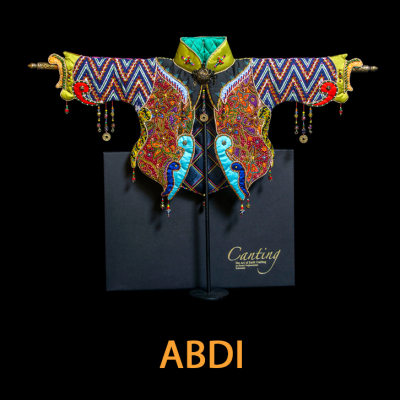 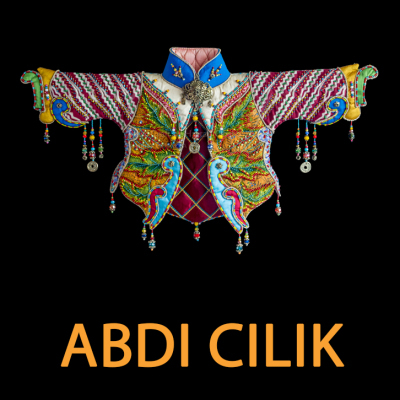 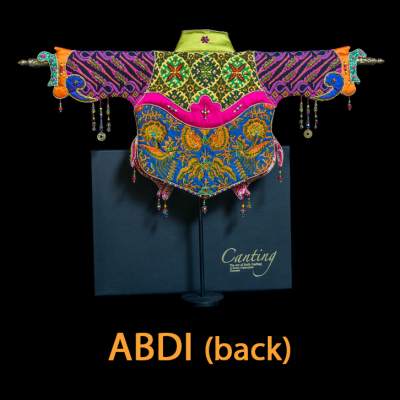 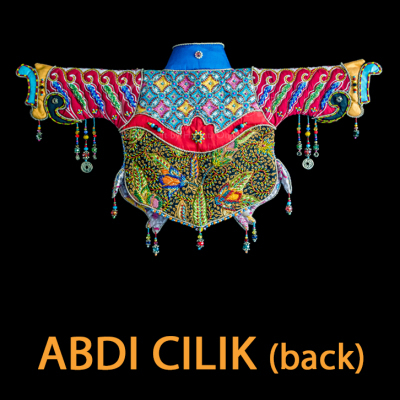 ABDI means court retainer, traditional guardian and caretaker of the Palace of the Sultanate. 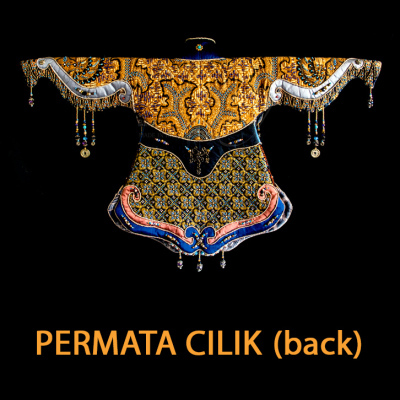 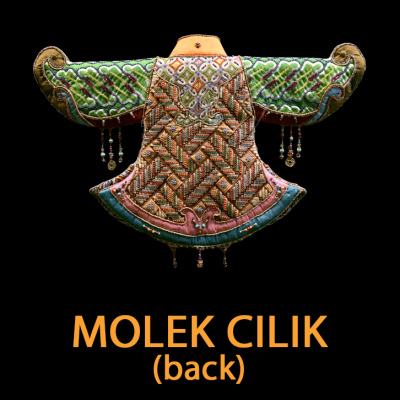 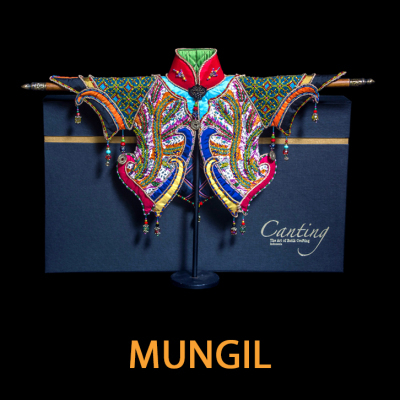 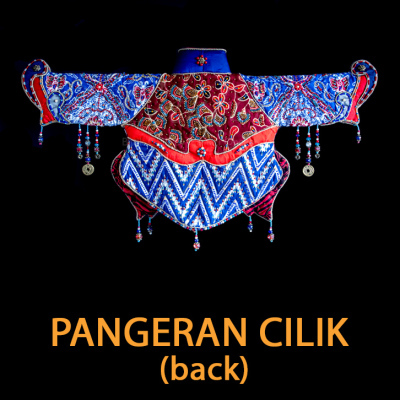 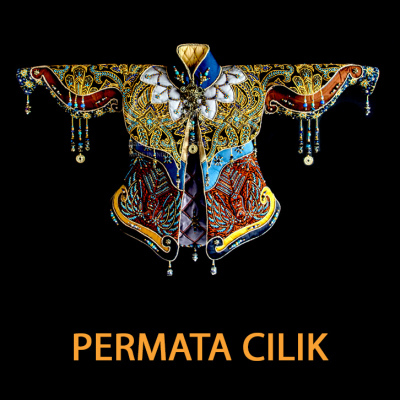 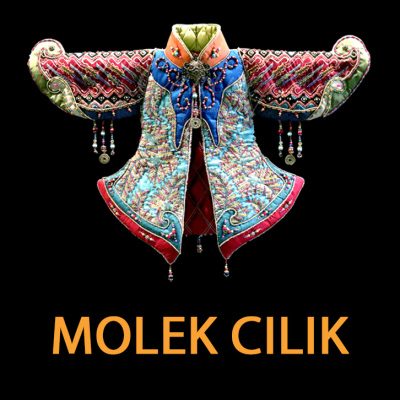 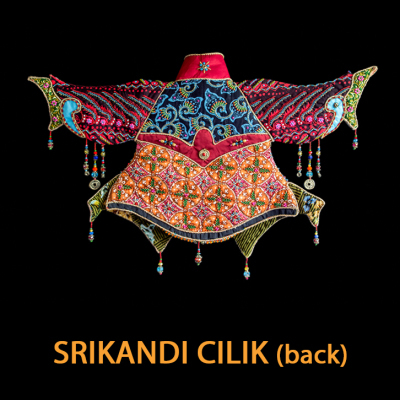 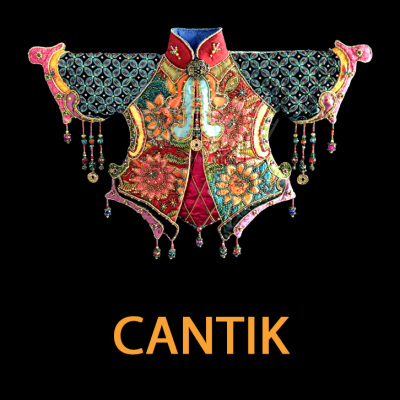 CILIK or small represents the size of the jacket. 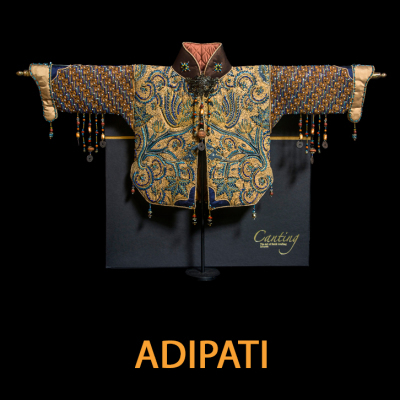 ADIPATI means duke or governor, administrator of the area conquered by the Sultanate. 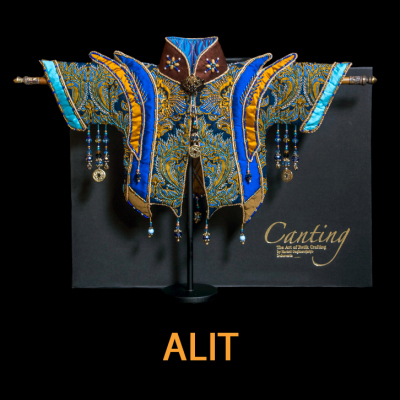 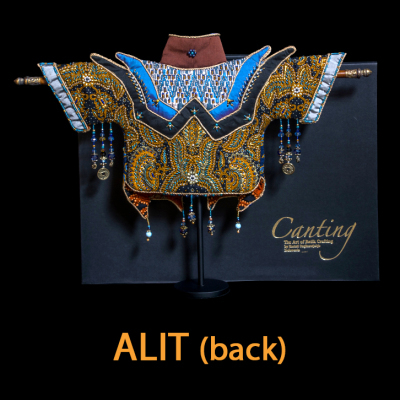 ALIT means small, also means the youngest child in the family. 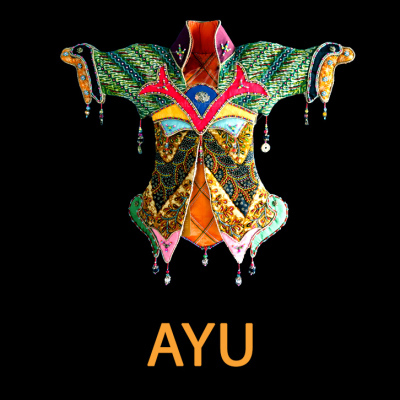 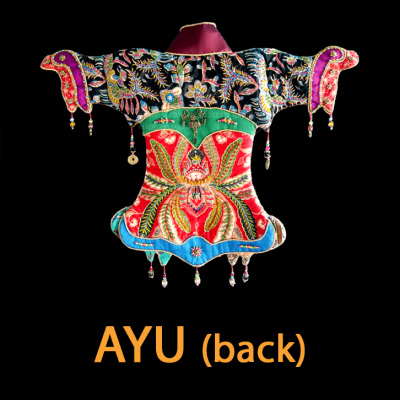 AYU means beautiful (for female). 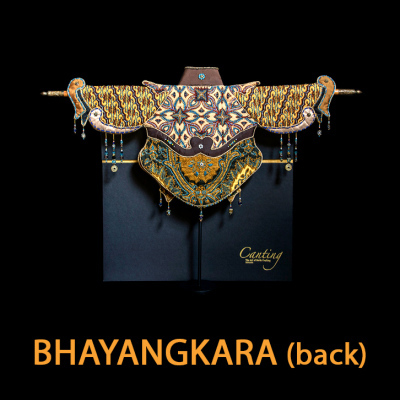 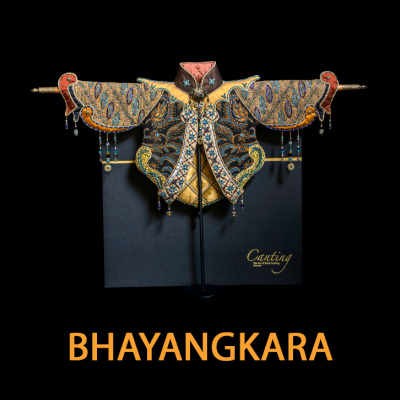 BHAYANGKARA is royal armour for the Sultanate. 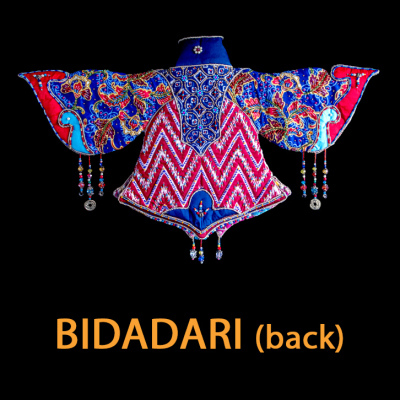 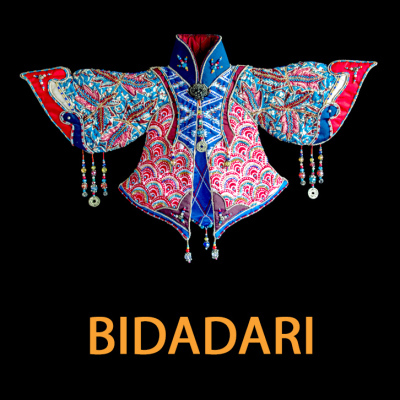 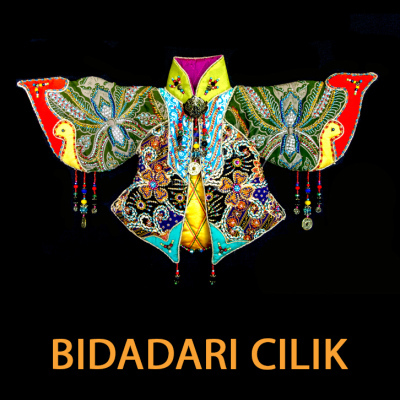 BIDADARI means fairy or angel. 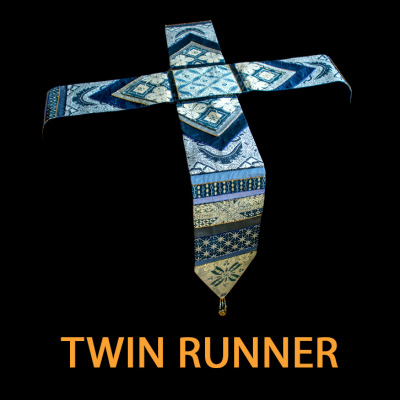 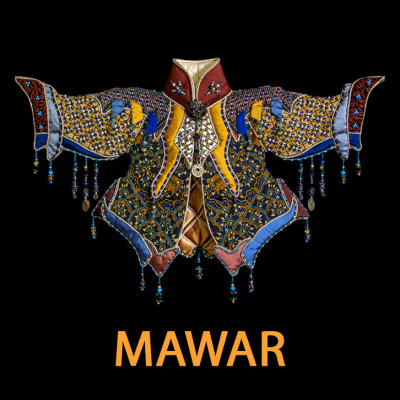 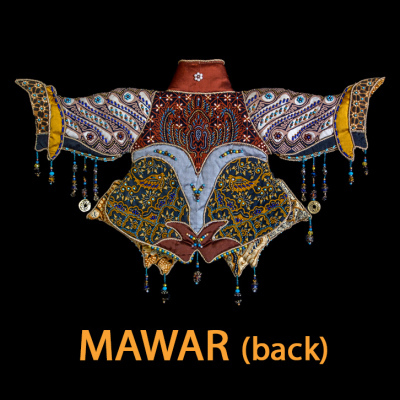 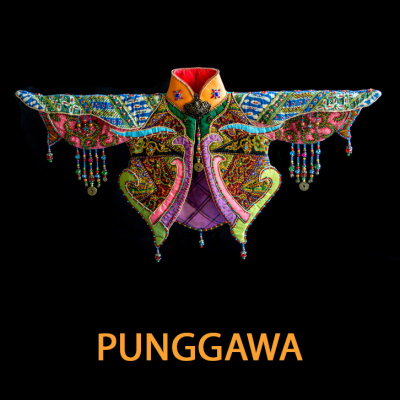 The shape of the jacket's hands represent the angel's wings. 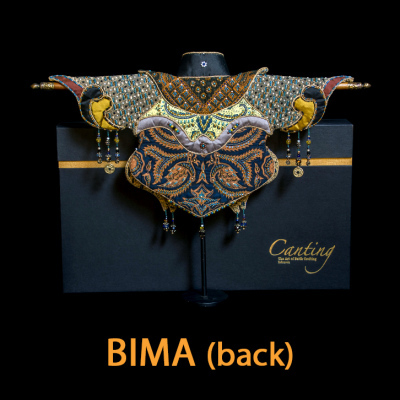 The name BIMA is taken from the Hindu epic Mahabrata. 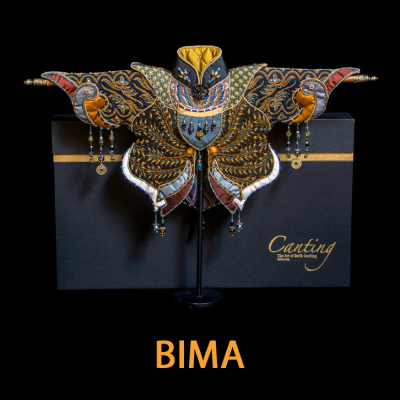 BIMA is the second of the Pandavas, also the strongest and most ferocious of his four brothers. 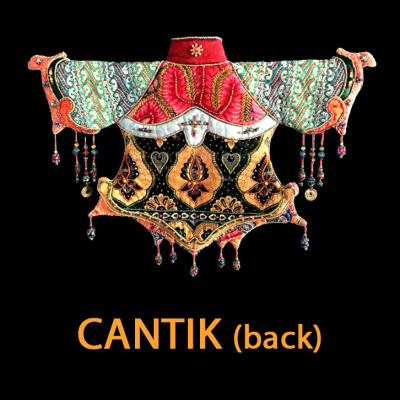 CANTIK means beautiful (for female). 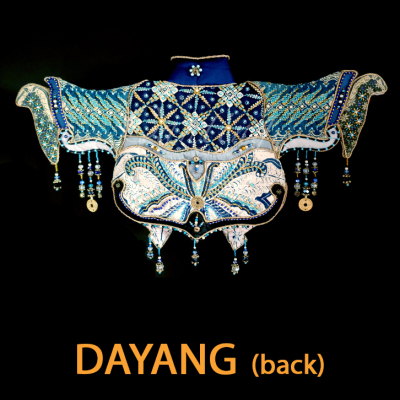 DAYANG or dayang-dayang means maid in waiting in Javanese. 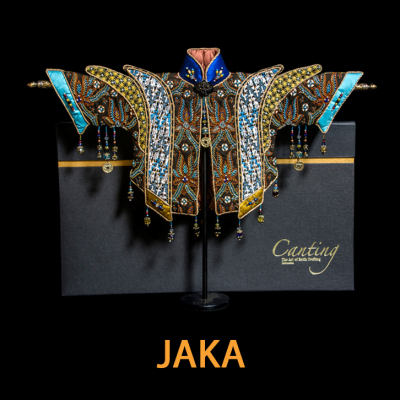 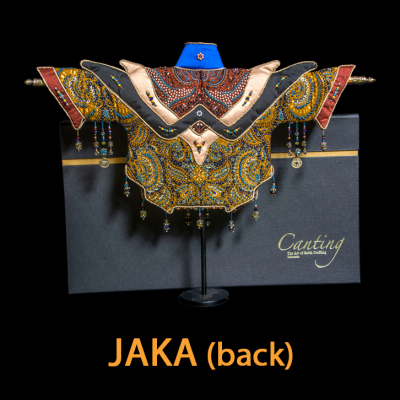 JAKA means young man in Javanese language. 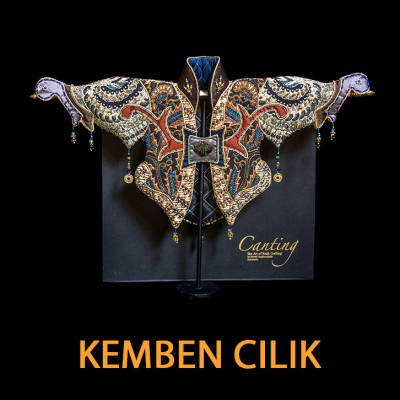 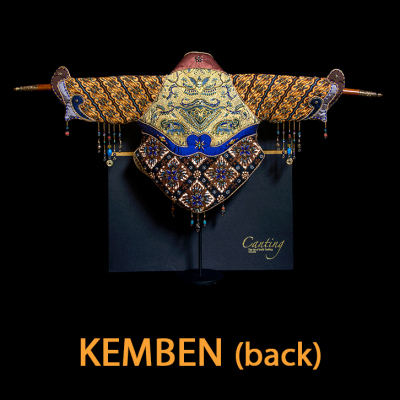 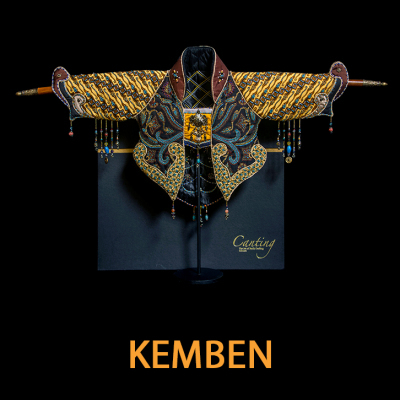 KEMBEN is breast cloth worn by Indonesian, mostly Javanese female. 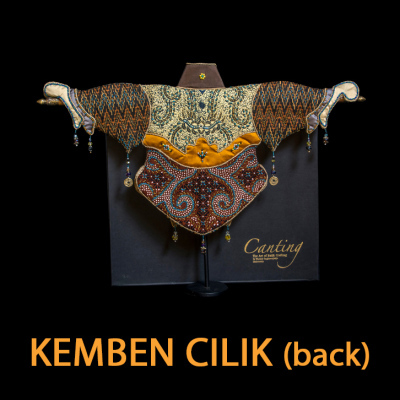 KEMBEN is breast cloth worn by Indonesian, mostly Javanese female. 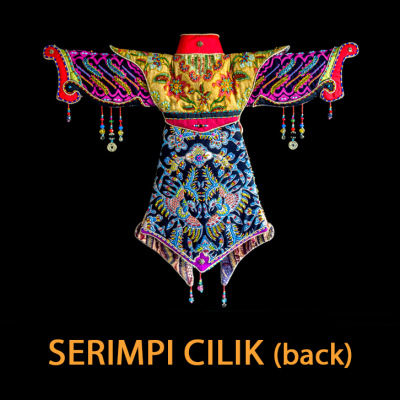 CILIK or small represents the size of the jacket. 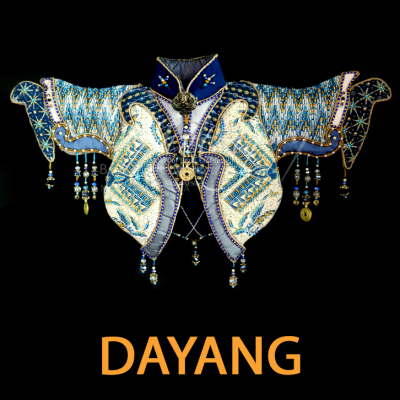 KHAYANGAN is a concept of heaven of ancient Javanese people, an incorporeal mystical realm where ancestor spirits reside. 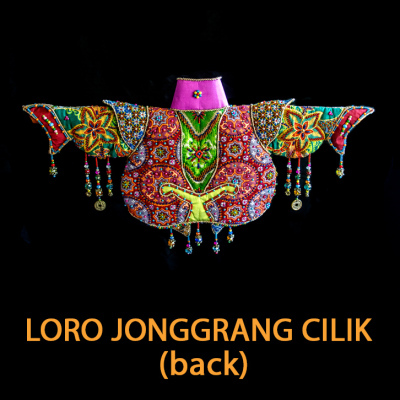 LEGONG is a refined Balinese dance form characterized by finger movements, complicated footwork, expressive gestures and facial expressions. 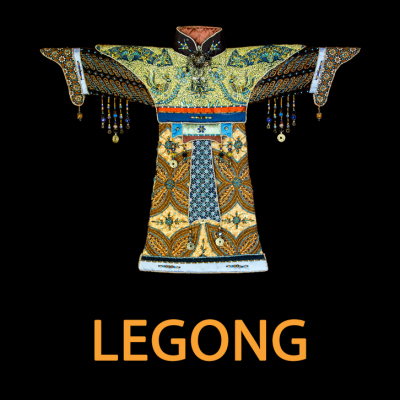 LEGONG is a refined Balinese dance form characterized by finger movements, complicated footwork, expressive gestures and facial expressions. 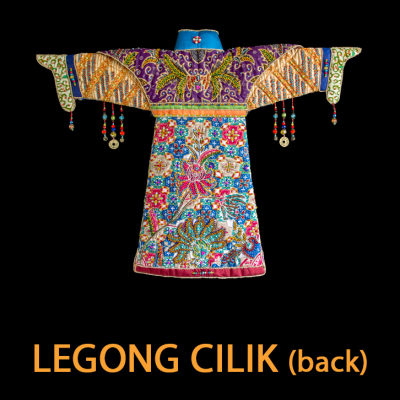 CILIK or small represents the size of the jacket. 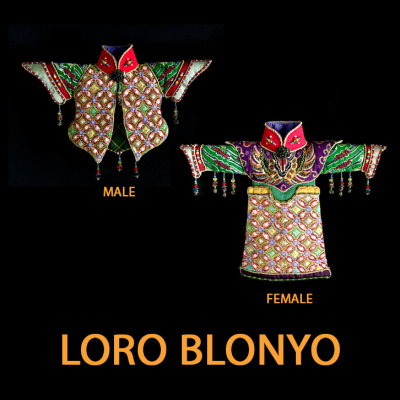 LORO BLONYO means inseparable couple in Javanese. 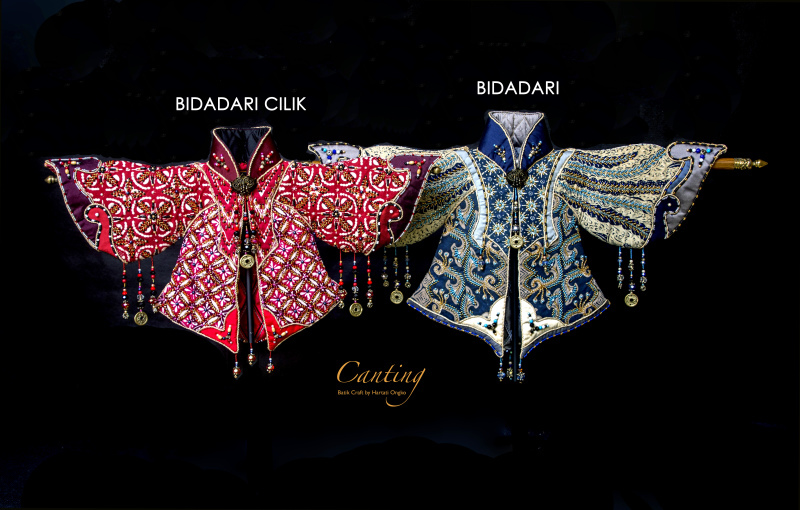 It is a representative of family life between husband and wife as beautiful relationship in harmony. 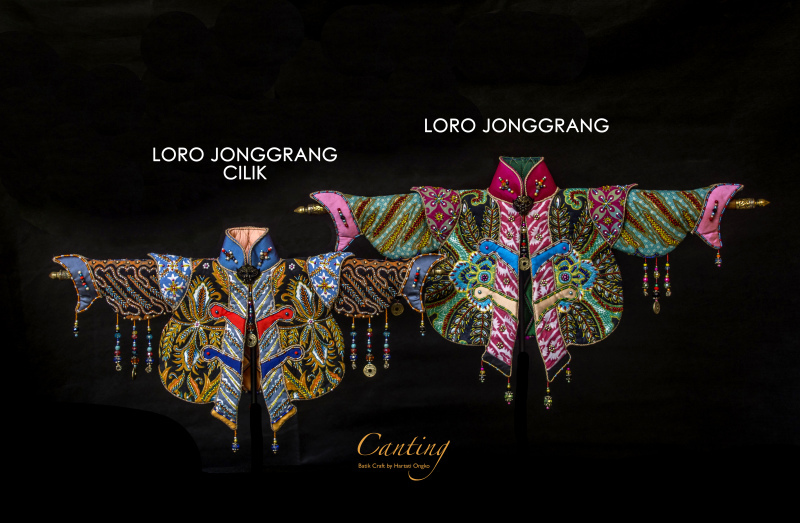 The jackets also made in pairs. 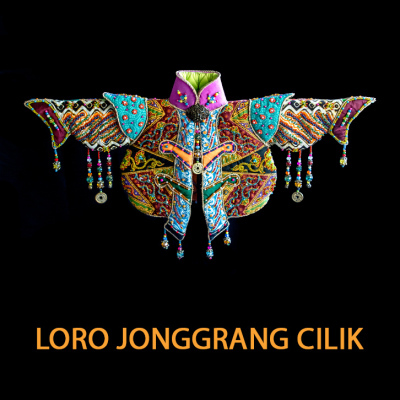 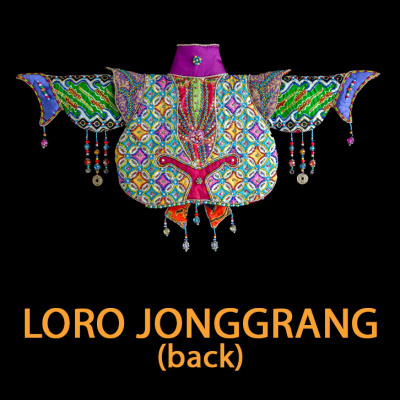 LORO JONGGRANG is a Javanese folktale of Candi Prambanan from Central Java telling story of love, betrayal, knight and cursed princess. 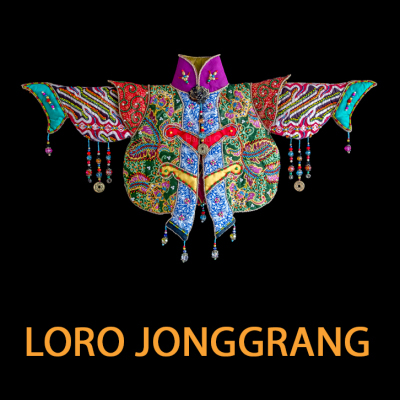 LORO JONGGRANG is a Javanese folktale of Candi Prambanan from Central Java telling story of love, betrayal, knight and cursed princess. 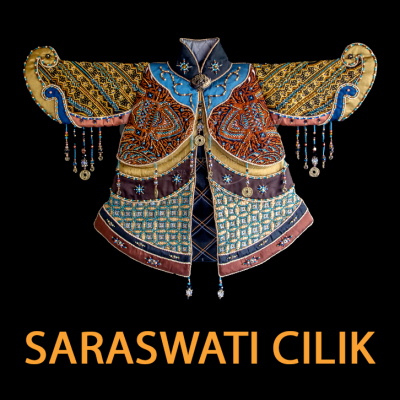 CILIK or small represents the size of the jacket. 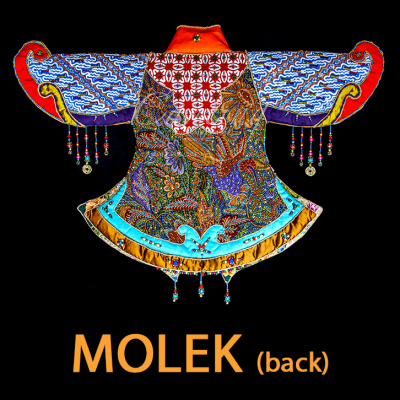 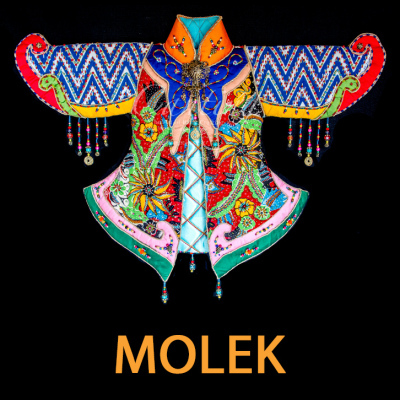 MOLEK means pretty (for female). 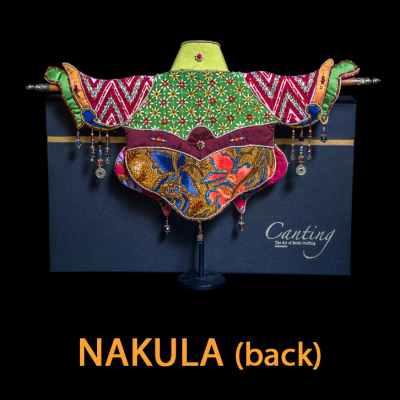 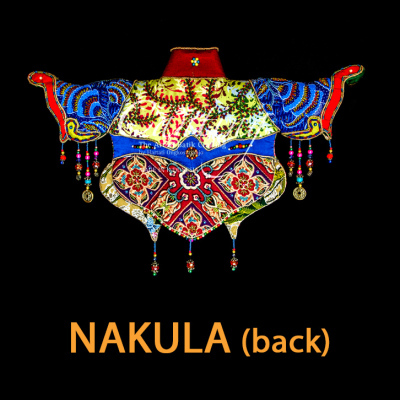 NAKULA was the fourth of the five Pandava brothers in the Hindu epic Mahabharata. 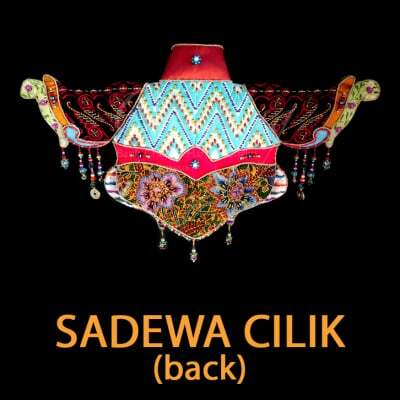 He was a twin brother of SADEWA. 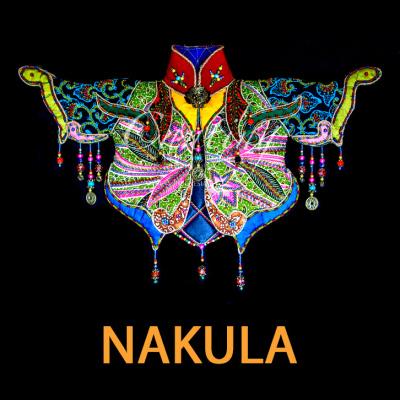 NAKULA was the fourth of the five Pandava brothers in the Hindu epic Mahabharata. 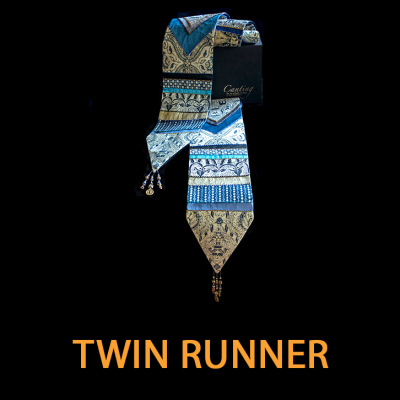 He was a twin brother of SADEWA. 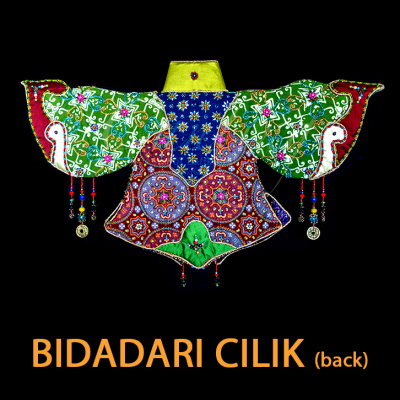 CILIK or small represents the size of the jacket. 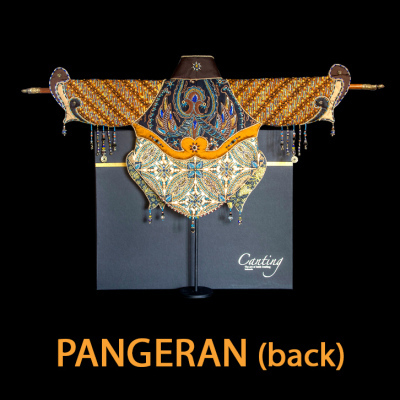 PANGERAN means prince. 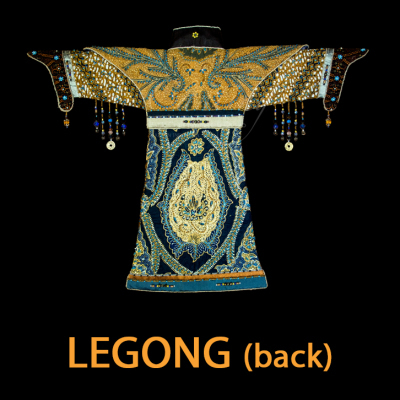 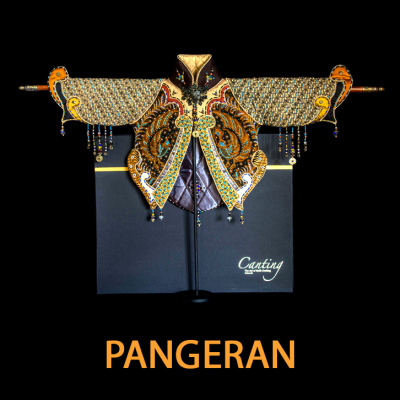 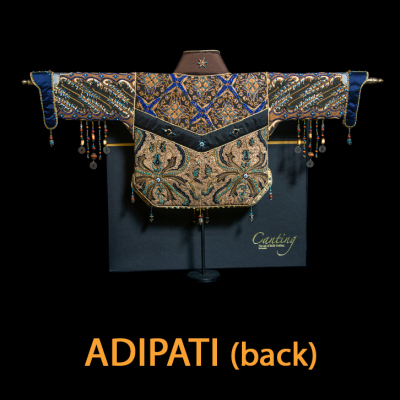 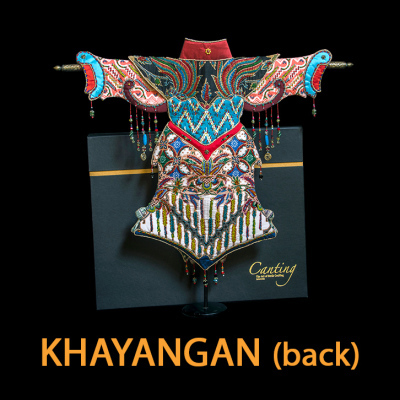 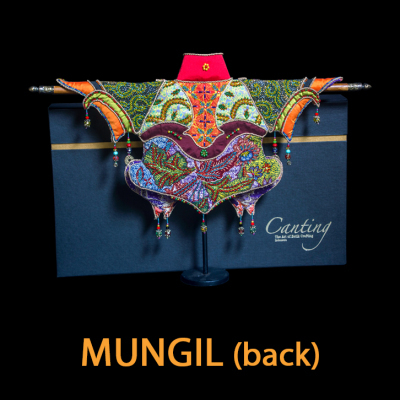 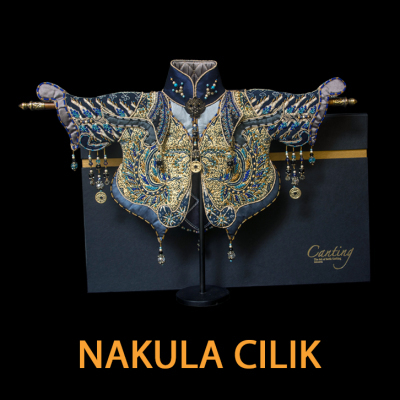 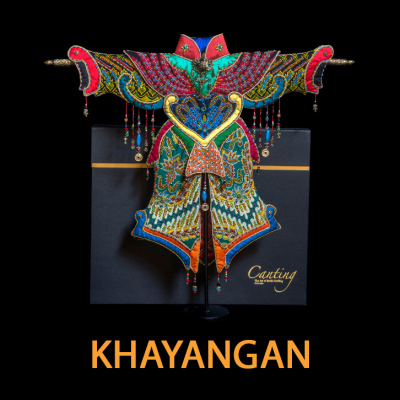 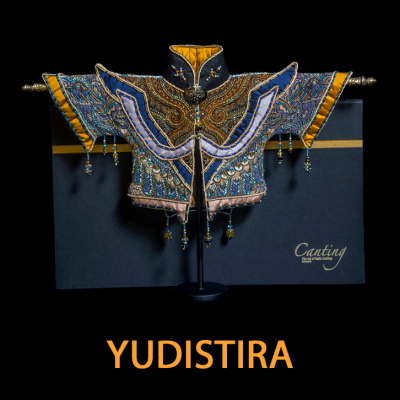 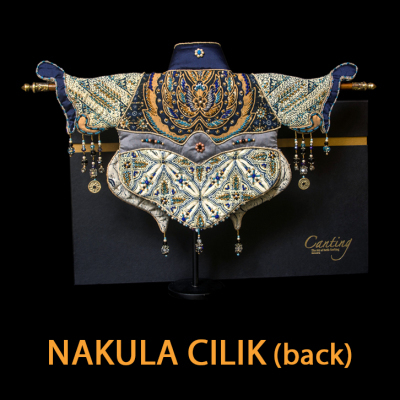 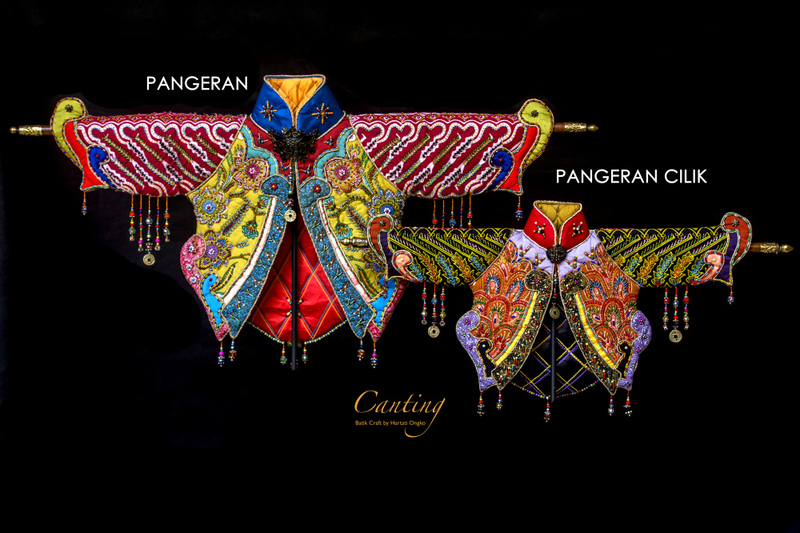 The design idea was from the uniform wore by Javanese Prince. 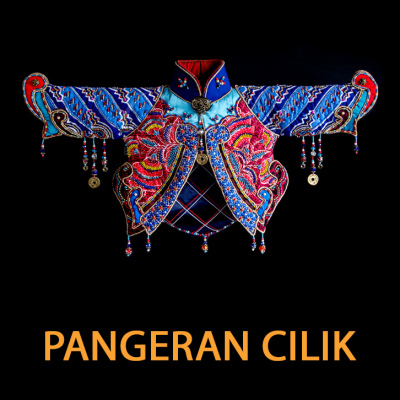 PANGERAN CILIK means the Little Prince. 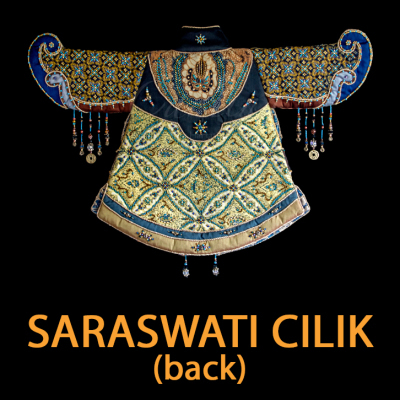 The design idea was from the uniform wore by Javanese Prince. 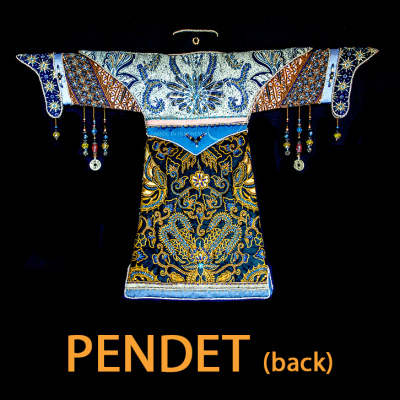 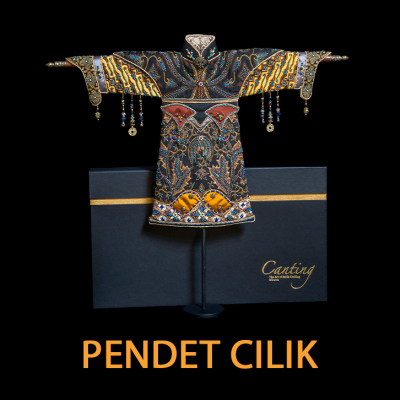 PENDET is a traditional dance from Bali, in which offerings are made to purify the temple as a prelude to ceremonies or other dances. 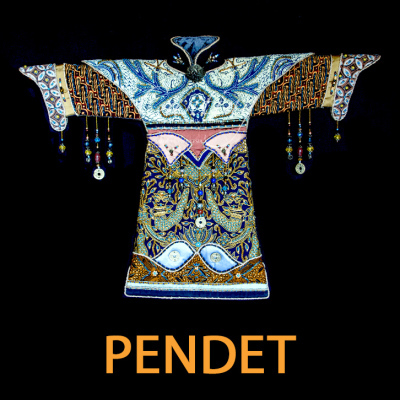 PENDET is a traditional dance from Bali, in which offerings are made to purify the temple as a prelude to ceremonies or other dances. 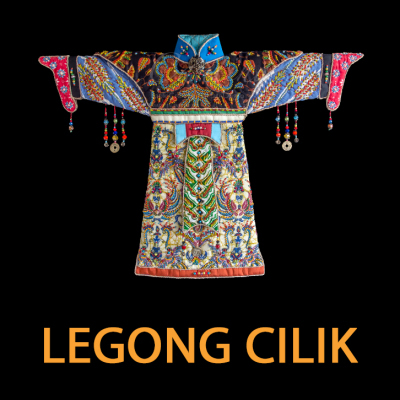 CILIK or small represents the size of the jacket. 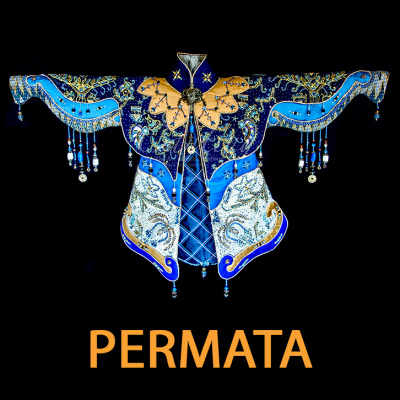 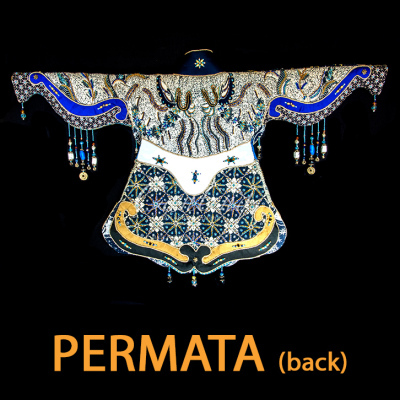 PERMATA means gem or jewel or precious stone. 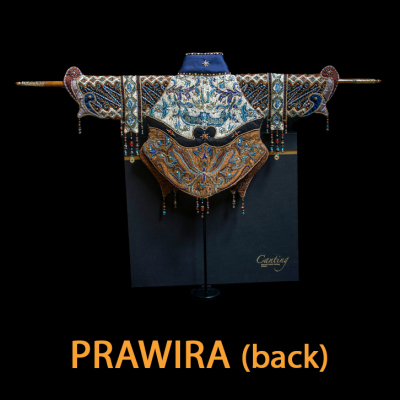 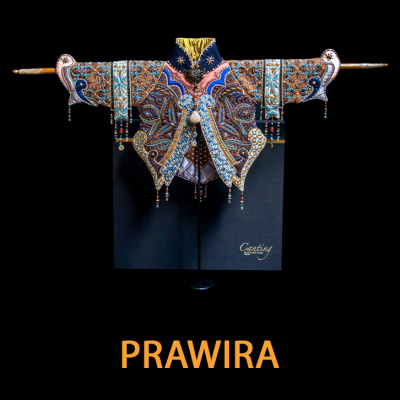 PRAWIRA means warrior, brave in Javanese language. 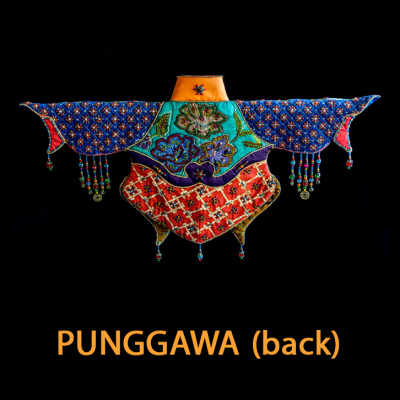 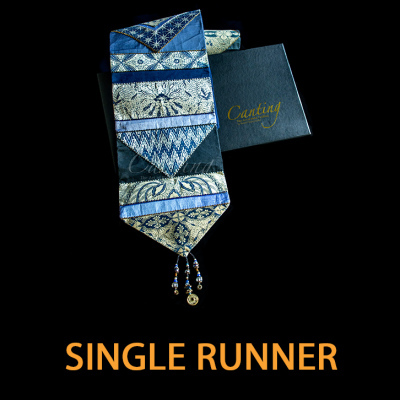 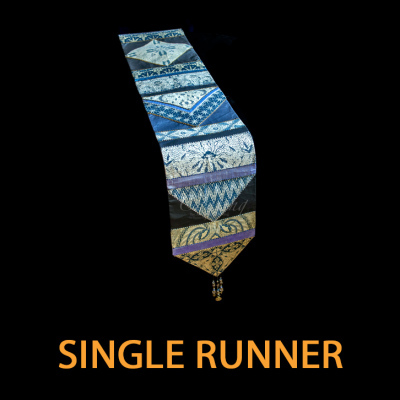 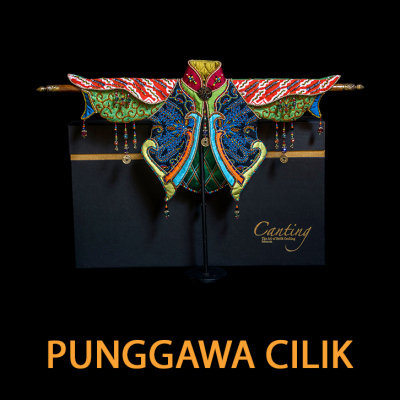 PUNGGAWA is a title for a traditional local administrator, used in various parts of Indonesia. 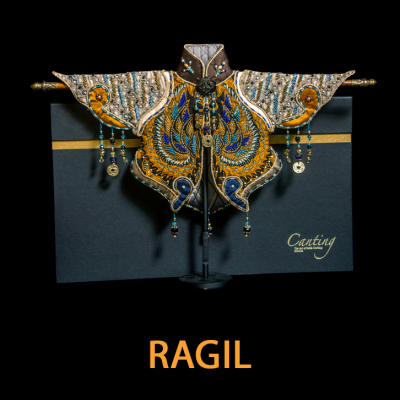 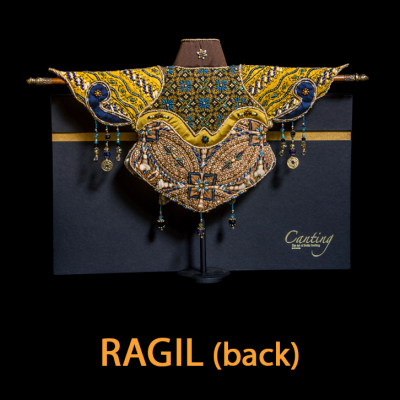 RAGIL means the youngest child in Javanese. 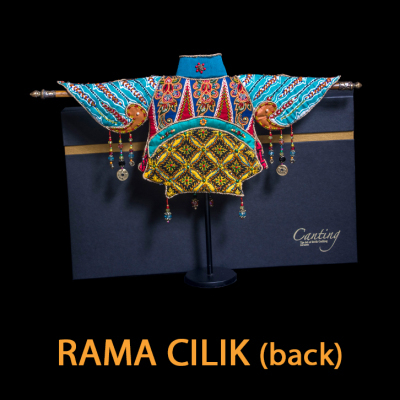 RAMA was an incarnation of God Krishna who looking for her wife, Sinta, in the traditional and famous-cultural Indonesian story, Ramayana. 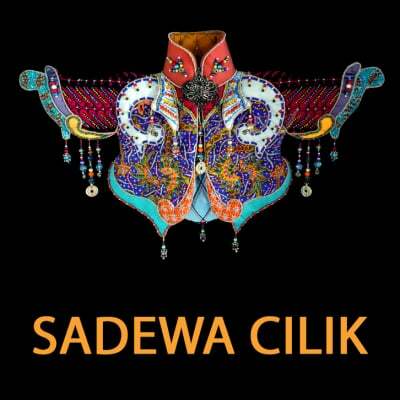 SADEWA was the youngest of the five Pandava brothers in the Hindu epic Mahabharata. 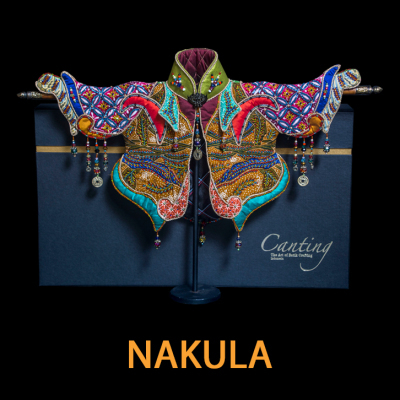 He was NAKULA's twin brother. 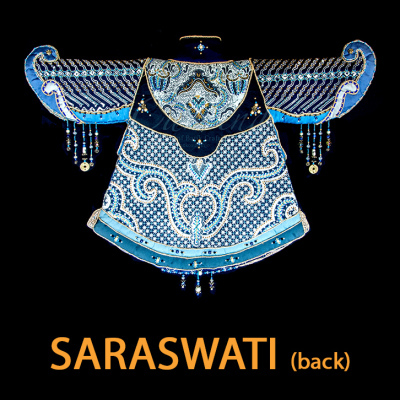 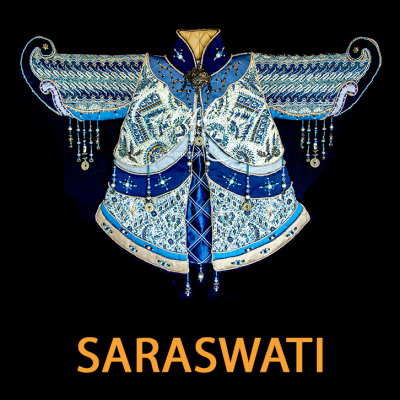 SARASWATI is the Hindu Goddess of knowledge, music, arts, wisdom and learning. 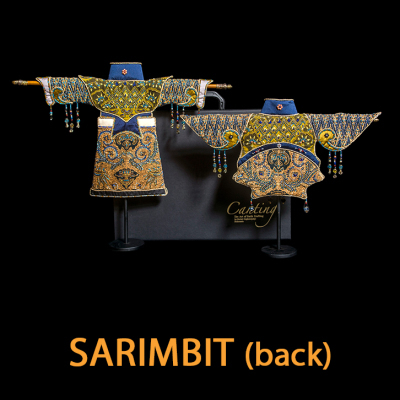 SARIMBIT means identical, also means couple. 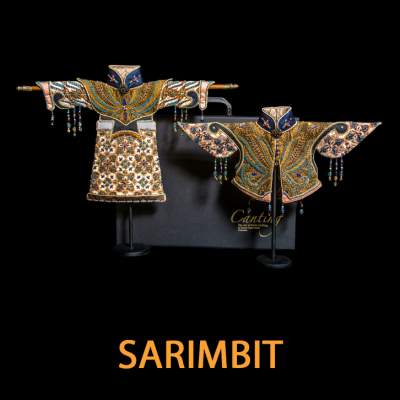 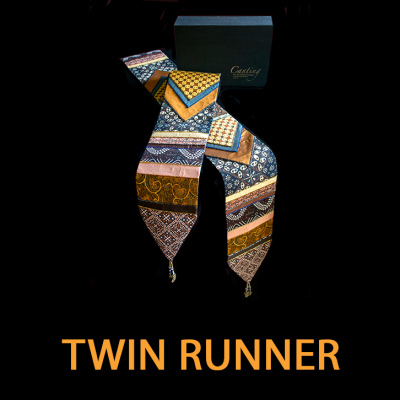 In fashion term, to define an identical couple's clothings. 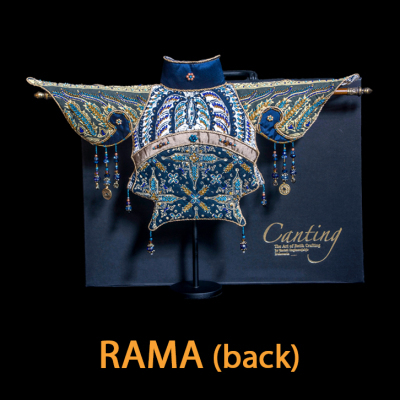 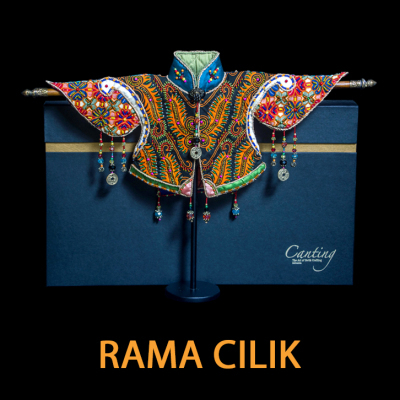 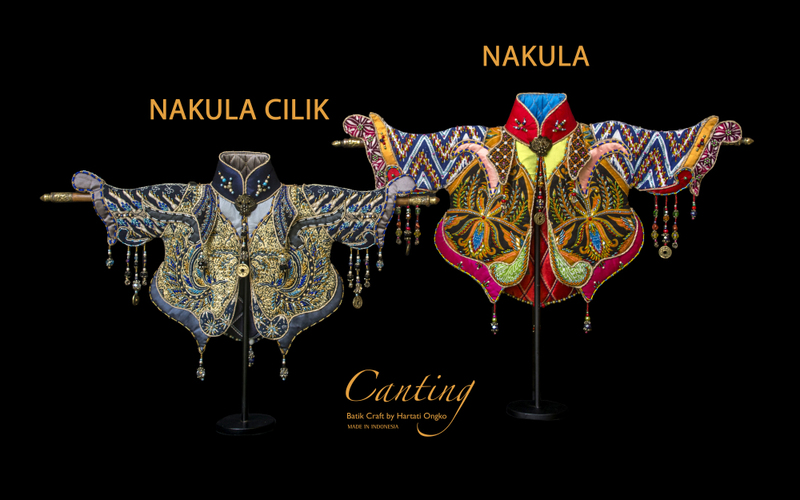 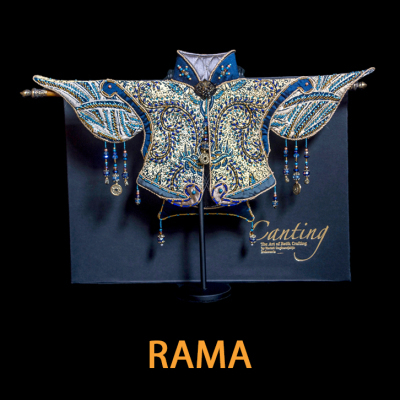 The jackets are made in pairs, Rama as the husband and Shinta as the wife from the story Ramayana. 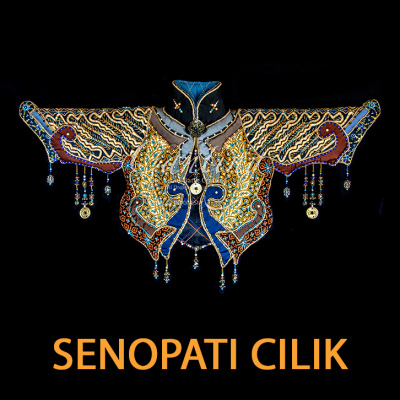 SENOPATI was a king of the Mataram Sultanate in the 1500. 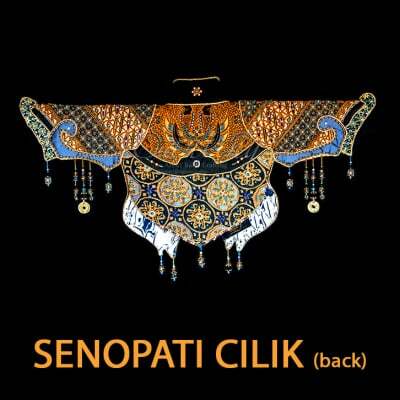 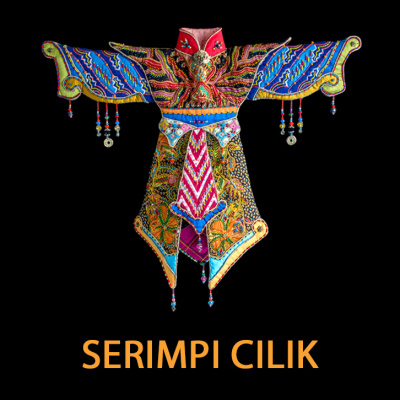 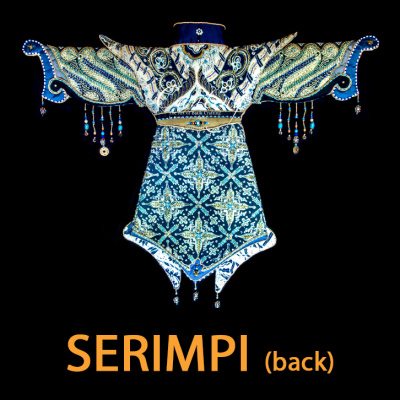 SERIMPI is a ritualized classical dance of Java, associated with the royal palaces that describes modesty, refinement, beauty, grace, also became a symbol of the ruler's power. 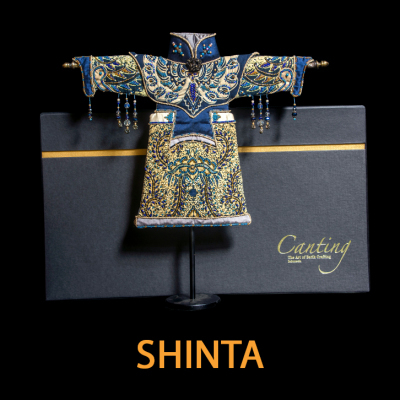 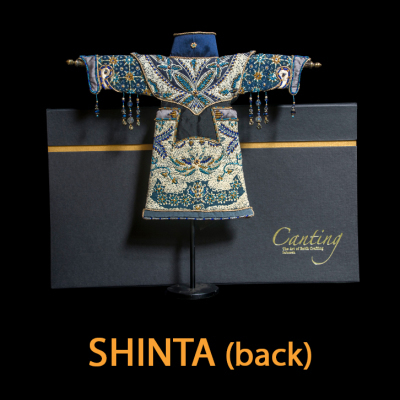 SHINTA was Rama's beautiful wife in the traditional and famous-cultural Indonesian story, Ramayana. 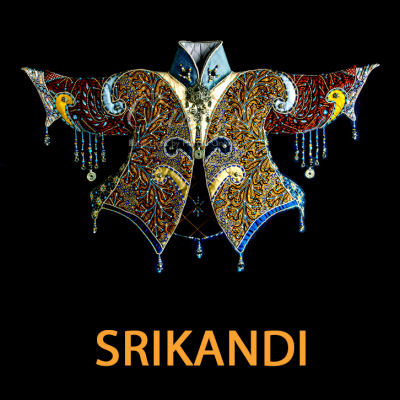 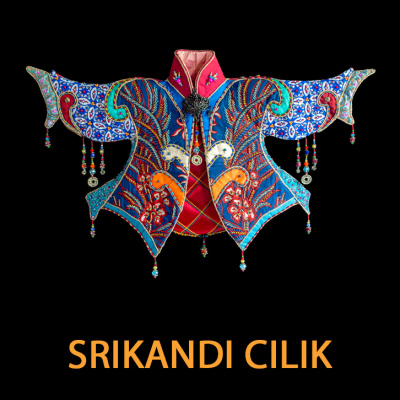 SRIKANDI means heroine in Javanese. 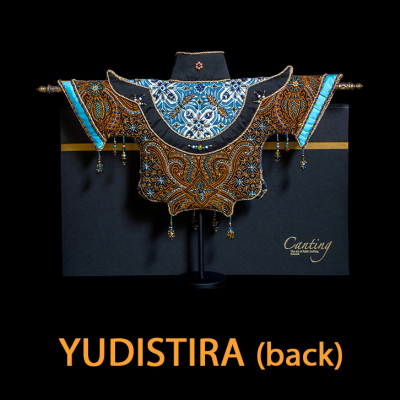 YUDISTIRA was the oldest of the five Pandava brothers in the Hindu epic Mahabharata. 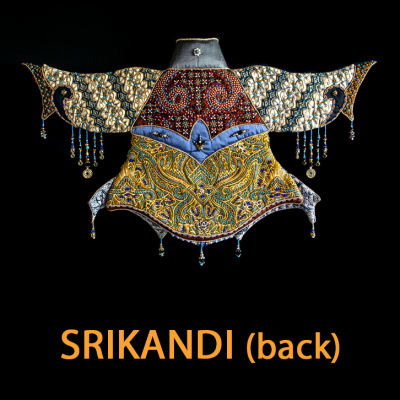 He was the leader of the successful Kurukshetra War. 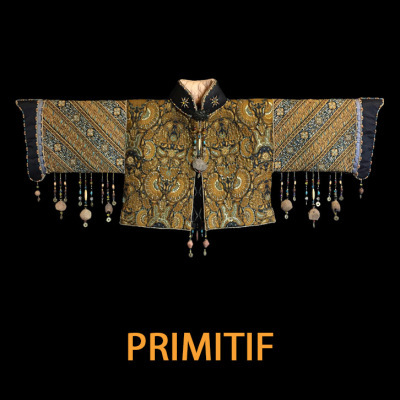 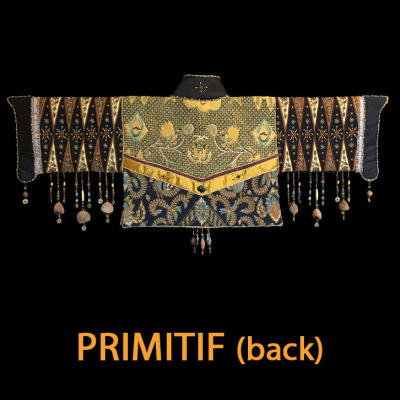 PRIMITIF is one of the jacket we made years ago, that is why we cal it PRIMITIF or primitive.